Reading and share top 1 Yvonne Harriott famous quotes and sayings. 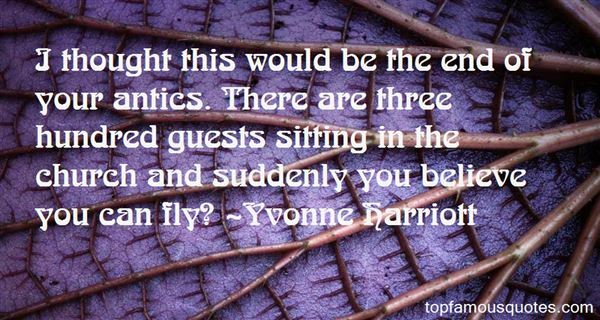 Browse top 1 most favorite famous quotes and sayings by Yvonne Harriott. I couldn't forget. I couldn't break. She had the power to break me. No one had ever been given that power, ever."